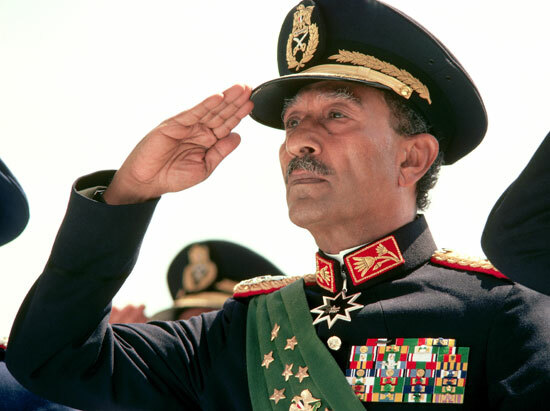 The presidency of Anwar al-Sadat was shaped largely by the way he conducted Egypt’s relationship with Israel. Sadat won the admiration of Arabs for his war against Israel and then earned international praise for making peace with Israel. Born in an Egyptian village, Sadat attended school in CAIRO and then joined the army. Dedicated to the goal of ending British control over EGYPT, he sought aid from Germany, Britain’s enemy, during WORLD WAR II. The British imprisoned him, but he escaped. Sadat became a follower of Egyptian military officer Gamal Abdel NASSER, who helped lead a coup against Egypt’s British-backed monarchy in 1952. When Nasser became president in 1956, Sadat served as his vice president and took over as head of government on Nasser’s death in 1970. Sadat soon showed that he was not afraid to take decisive action in international affairs. Feeling that Egypt was not receiving proper support from the Soviet Union, he threw thousands of Soviets out of the country. In 1973 he formed an alliance with the Arab nation of Syria to make a surprise attack on Israel. The war made Sadat a hero in the Arab world because Egypt managed to win back some territory in the Sinai Peninsula from Israel.